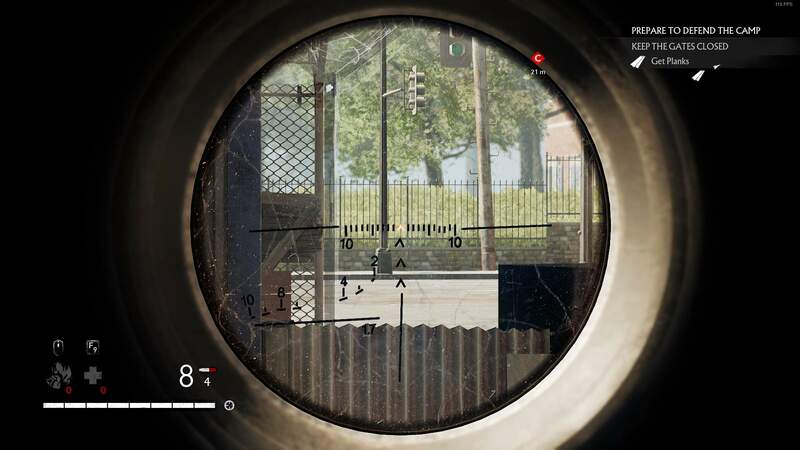 Scope screenshots, as they are seen in-game when you aim through them. Since we can't preview scopes, I made a small compilation. 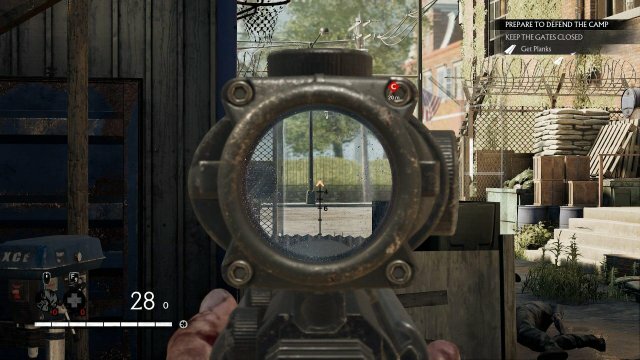 This guide does NOT (and probably will not) have a screen-shot of every sight mod in the game, but it should give an idea of how different scopes will look and feel on different guns. 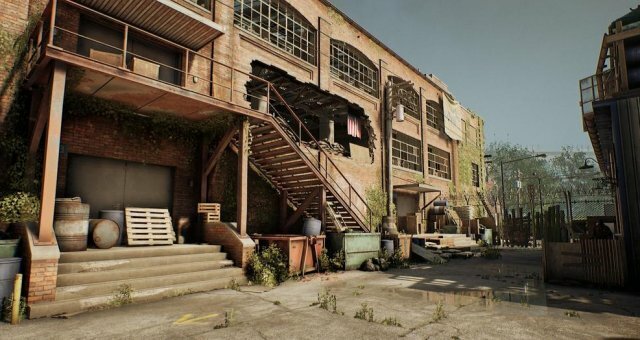 To give you the best comparison of the scopes, every screen-shot is taken from approximately the same spot: Where you pick up your base defense stuff on the first map. They are all taken facing the front gate. The weapon's built-in Iron sights are the default sights for MOST weapons. 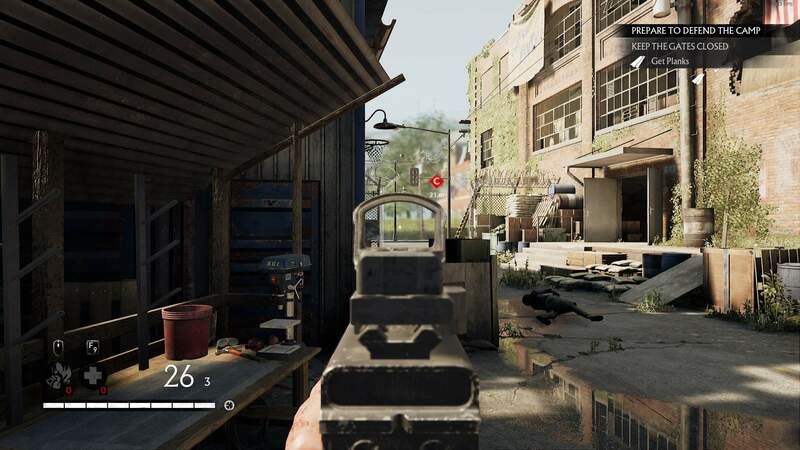 Aiming down sights (ADS) with iron sights gives only a tiny bit of magnification. 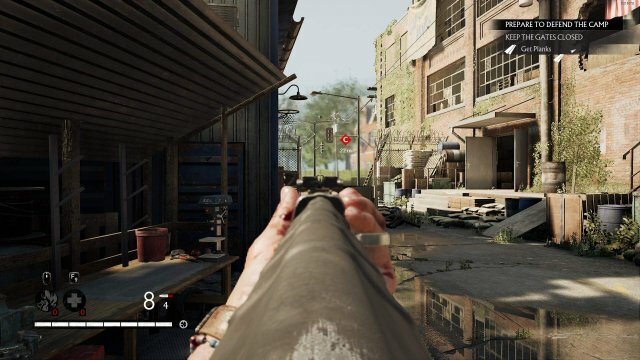 Some weapons, like pistols, revolvers and shotguns, have improved iron sights as some of their sight mods. Note: If you attach a physically big silencer it can hinder you from aiming down the gun's iron sights! The built-in iron sights of the AK Suvorov SV7: (one of the sniper rifles that don't come with unremovable telescopic sights). The OEM Marksman Sight mod: (here shown on a Bernetti S95 O/U shotgun). Telescopic sights, as the term is used here, are the ones that block your vision outside the scope's field of view (FOV) and they give you "heartbeat movement" while aiming (your aim drifts slowly). All the telescopic sights have strong magnification. Note: As far as I know, these scopes can only be used on sniper rifles. 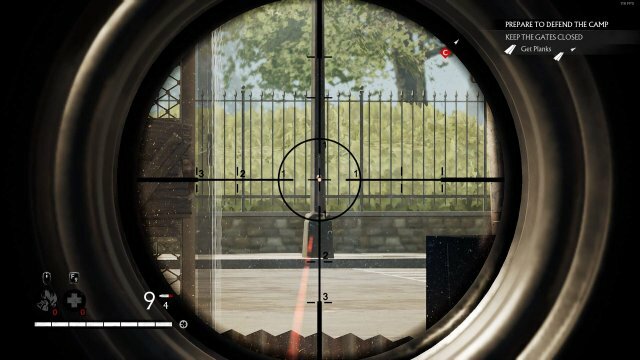 Telescopic sights are also the only type of sight mod a sniper rifle can take (but a couple of the sniper rifles, like the Suvorov, kan use its built-in iron sights instead). 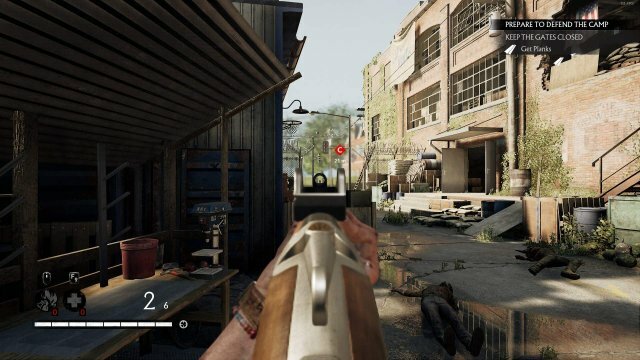 The default telescopic sight of the Eaton model 8 sniper rifle: (unless you put a specific sight mod on it, it gets this scope). 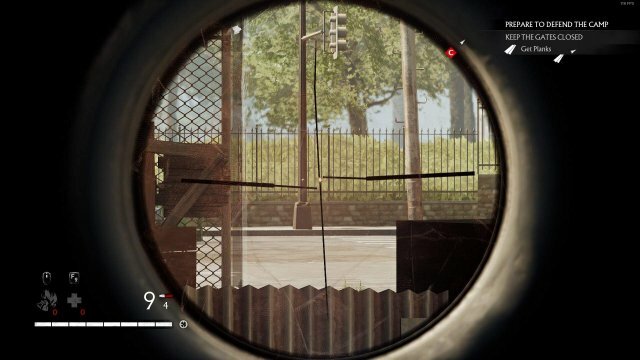 The default telescopic sight of the TZ Nagant sniper rifle: (unless you put a specific sight mod on it, it gets this scope). 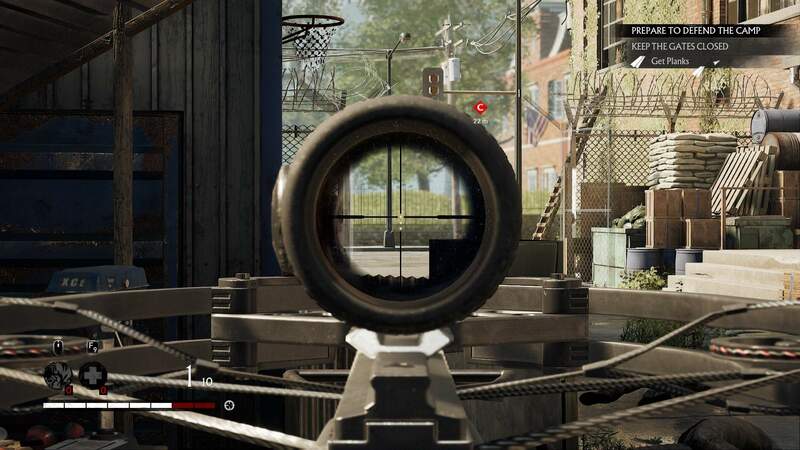 The High Power Telescopic Sight mod: (here shown on a AK Suvorov SV7 sniper rifle - this weapon also has a laser mod attached, thus the red beam). 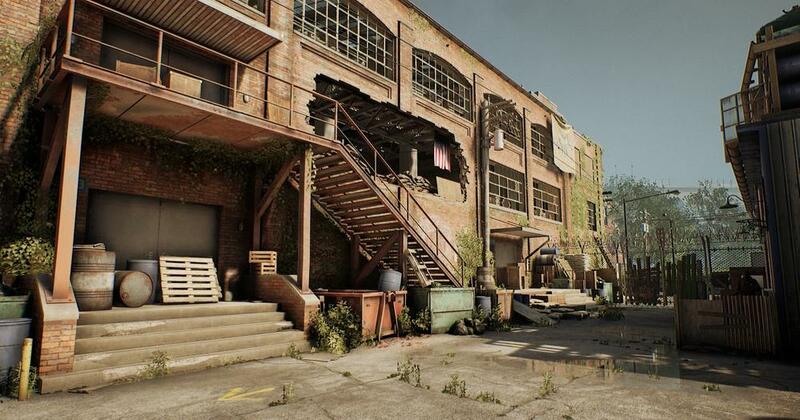 In-game the sights in this section work quite similarly, but with slightly different magnification and looks. Also, there is some variation on what weapons they fit. 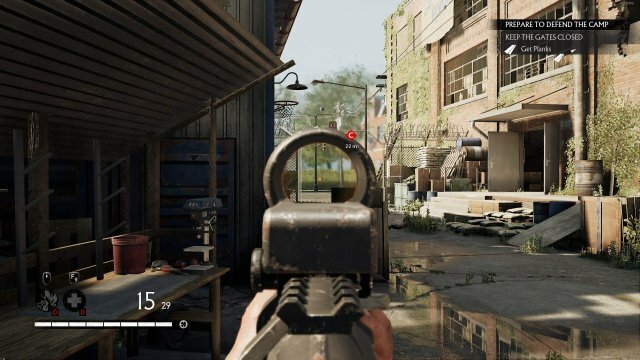 The Advanced Optical Sight mod: (shown on a Corvo CAR-4 assault rifle). The Level Sight mod: (shown on a DECA Skeletal crossbow). The Holographic Sight mod: (shown on a Corvo CAR-4 assault rifle). 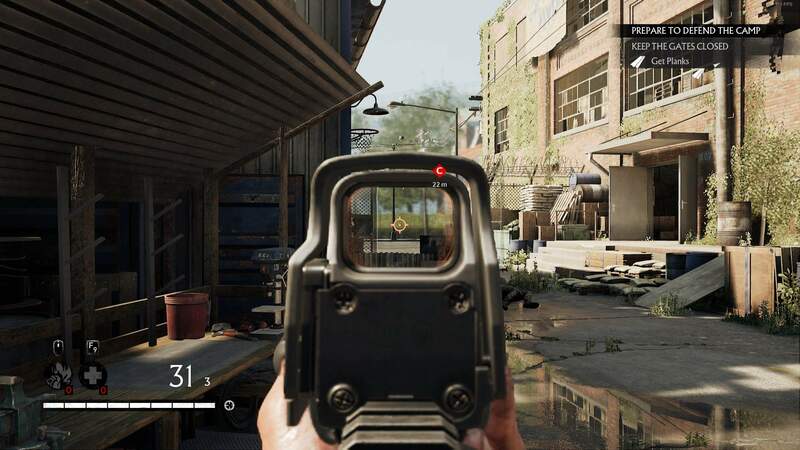 The Solar Sight mod: (shown on an AK-R assault rifle). The Spectrum Sight mod: (shown on a DECA Compound crossbow). 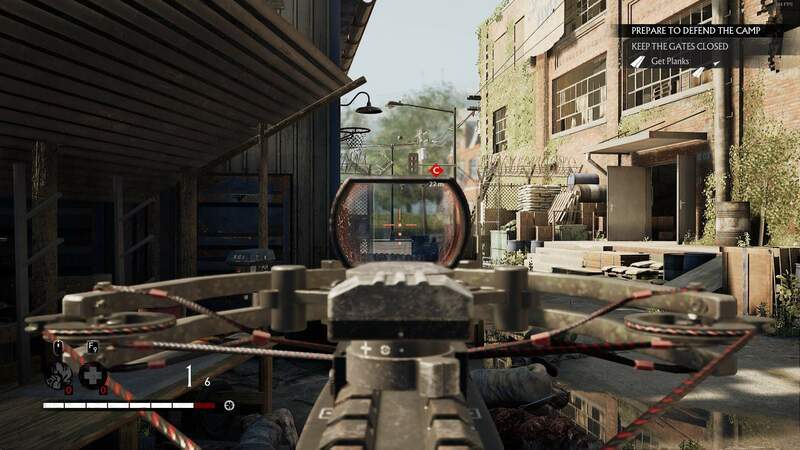 The Omicron Sight mod: (shown on a TKA Cobra submachine gun).